Bem vindo to another blog that leads towards Brazil. Although at the moment you encounter the country a lot in the media, I only recently started to learn more about it. The newspapers write about the Olympic Games in Rio de Janeiro, president Dilma Rousseff’s impeachment and protests after a young girl was gang raped. Seems like a lot is going on. Brazil is a very diverse country that is much more than football, rain forest and Samba. Brazil’s history from a European view starts in 1500 when a Portuguese ship on its way to India landed on the west coast (sounds familiar?). Of course, there were already indigenous people who at the beginning worked together with the newcomers to trade Brazil-wood (pau brasil) that gave the country its name. Brazil was a Portuguese colony for over 300 years (that’s why people speak Portuguese there instead of Spanish like in most other South American countries) and, in contrast to its neighbors didn’t have a revolution for liberation. 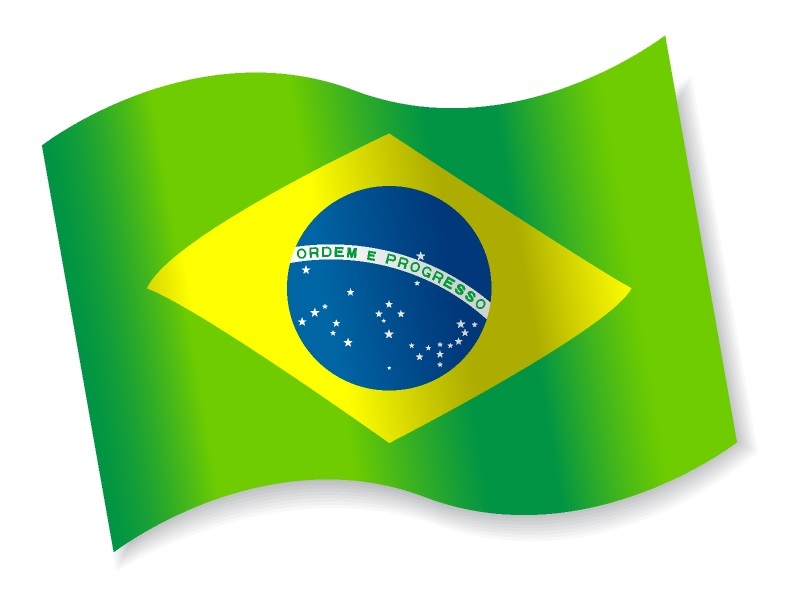 In 1822, Brazil declared independence from Portugal and became an empire – the emperor being the son of the Portuguese king. At that point, Brazil had more slaves from Africa than any other country in the world. It took a long time to abolish slavery (1888) and one year later, Brazil became a republic. The young republic was a country hard to govern for many reasons, but mainly due to its sheer size and unaccessibility. There are stories that people in some areas still celebrated the emperor’s birthday years after he had died and his children were forced to go back to Portugal after the monarchy was abolished. Moreover, some areas were only accessible by boat via Argentina until the 1900s. The newly founded republic saw presidents come and go and built up a strong economy on coffee and rubber. In 1930, the military led by Getúilio Vargas ran a coup and took over until another coup in 1945. But Vargas didn’t give up and became elected president in 1951. After his suicide, Juscelino Kubitschek became the next head of government. His motto was “fifty years in five” meaning that he wanted to speed up the country’s development and leap forward during his five-year presidency. He was the one who decided to build Brasília as a new capital in the middle of nowhere in the center of the country. The planned city that is shaped like an airplane was finished in 1960. Kubitschek’s successors didn’t manage as well as he did and in 1964, the military took over again. The military dictatorship started off with a lot of economic growth but ended up with even more national debt. Censorship was strict and when fighting against guerrilla, many Brazilians were imprisoned, tortured or even murdered. One political prisoner who had to endure torture was the current president Dilma Rousseff. The country came back to being a republic after 20 years of military rule but inflation made Brazil instable. Prices would go up every single day and people lost the trust in money. There were new currencies every few years but nothing stopped the economic crisis. It was Itamar Franco’s “Plano Real” that stopped the inflation and introduced the still valid currency real (plural in Portuguese: reais). Starting 1994, the new president Fernando Henrique Cardoso brought neoliberalism to Brazil and opened the country to the world. In 2003, Luis Inácio Lula da Silva (called Lula) won the elections for president at his fourth try. He was from the South and a “real” working class man who had been an active trade union member. His most important achievement during the seven years of his presidency was the social program “Bolsa Família” that gave money to the poor and hungry people in Brazil if they put their children in school and did regular medical checks. This gave the lower class a boost and is probably one of the best examples how hunger can be fought by a government. Since 2011, Lula’s confidant Dilma Rousseff has been leading the country. She was part of a Marxist urban guerrilla group during the military dictatorship and was imprisoned and tortured but didn’t give away her fellows. Currently, she is removed from office because of an impeachment trial that is going on. She is accused of manipulating government accounts. Vice President Michel Temer has taken her place. Did I forget anything? – yes, the salsa, environmental degradation, the extreme differences between social classes etc. We will keep posting about Brazil and our tree planting project this summer 2016.